Patriot Company's academic teams competed in the National Academic Exam (NAE). NJROTC academic teams from around the world compete against one another in the NAE. Cadets have 50 minutes to complete the 100 question multiple choice exam that includes questions on math, science, geography, social studies, history, health, general Navy knowledge, and current events. Results will be distributed in approximately one month. Pictured from left to right: Front row - Hannah Nguyen (10), Carson Tucker (10). 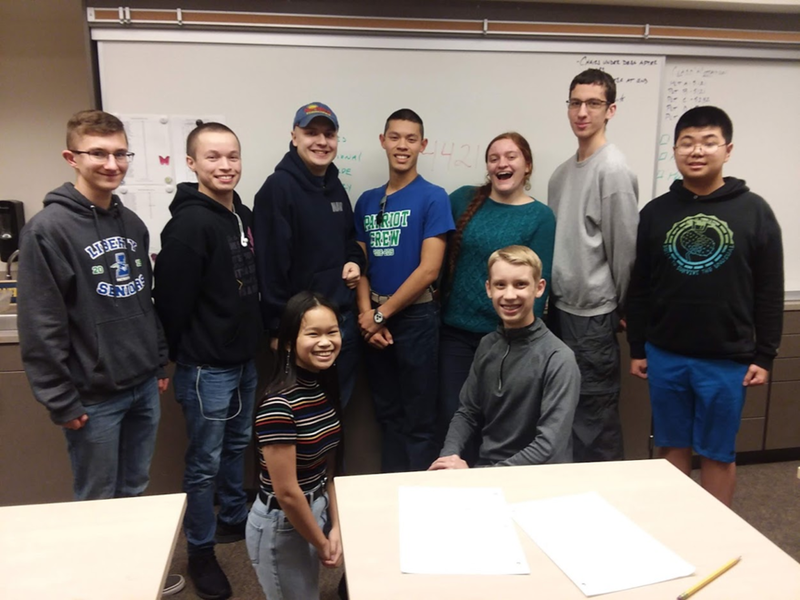 Back row - Kerrek Mason, (12), Chandler Alexander (12), Jacob Hill (11), Christopher Lew (11), Lenna Weiss (12), Evan Rosenfelt (11), and Diakun Wu (10). Cadets Kylee Cosand (9) and Dominic Ogino (11) were advanced to Cadet Seaman and Cadet Petty Officer First Class respectively after passing their advancement exams. 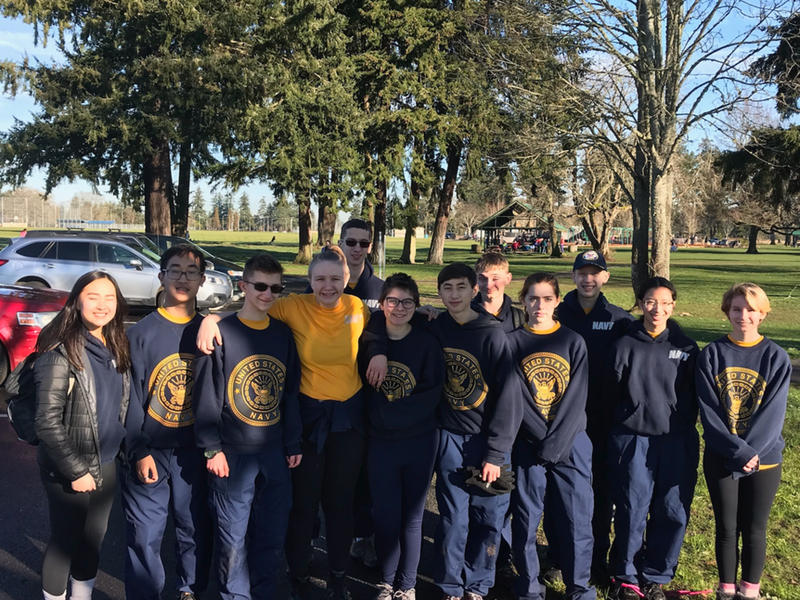 Patriot Company's Orienteering team went to Fort Steilacoom in Lakewood, Wa. to complete against other area teams. The boys team led by Carson Tucker (10) and Kerrek Matson (12) finished in first place and the girls team, led by Sara Bernhard (10) and Dani Widdows (10) finished in second place. Picture from left to right: Taylor-Nicole Le (10), Thomas Le (11), Kerrek Matson (12), Sara Bernhard (10), Evan Rosenfelt (11), Dani Widdows (10), Joe Jury (9), Ryan Hoff (10), Faith Ellis (10), Carson Tucker (10), Sasha Winchester (9) and Olivia Scott (11). Patriot Company's Three CyberPatriot teams competed in the CyberPatriot State Finals. If they score in the top 25% of their respective divisions they will qualify for the National Semifinals. Patriot Company CyberPatriot Team Alpha - From left to right: Grant Brown (10), Khanh Dao (10), Alex Pham (12), and Carson Tucker (10) work to secure their respective networks.